Having the best bathroom in the neighbourhood, or amongst your friends is a homeowner’s dream. While you might be able to do some of the work, you will require a licensed plumber to do all the pipe and tap work. Bathrooms have become the ‘house spa‘ where an individual can relax in privacy as well as doing the normal bathroom activities there. You can still brush your teeth, take a shower, wash your hands, and go to the loo, but they are becoming a lot more to families these days. Running a steaming hot bath, be it a spa bath or just a plain one, you can relax and wash away the stresses of the day. 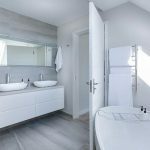 It’s been due to the change in house design that has taken the bathroom on an evolutionary journey from a place for a wash, shower, and toilet, to something far more modern, innovative and useful. Look at homes built in the 50’s and 60’s and you can see that the lack of space was the main problem. You didn’t really have a lot of time to spend in the bathroom, and the kitchen was for food preparation, not lounging about drinking coffee with family and friends. Most houses had just the one bathroom and spending more than a few minutes in there would raise the ire of other family members. Many Australian states offer fabulous outdoor weather through March, April and May as winter approaches. There’s a very pleasant temperature, not a lot of bugs like mozzies, and an evening breeze which is cool and refreshing, but not cold. However, shorter days despite daylight saving, means homeowners don’t have the opportunity to enjoy their patios and gardens before it gets dark. If you want to reclaim those enjoyable hours, then ask your landscape designer to suggest, plan, and add professional lighting to the outdoor areas. Homes no longer operate those landing strip lights lining your driveway and paths. The outdoor lighting today is made to give subtle washes of light to spots such as paths and special plants rather than a blazing spotlight that you got from the old style of outdoor lights. 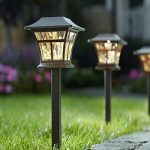 There is a lot of science these days in the design of outdoor lighting and a landscape designer knows where to buy them and where to best place them. Guests and owners can enjoy the outdoor space and the beauty of specific plants or architectural features which are usually lost in the dark by adding lights that provide depth perception to a previously unlit garden area. By adding light sources that overlap, you can see objects in greater depth and detail. The power of light, properly placed and designed, can transform a flat surface into one that has intricate shapes and features. A professional landscape designer can set up lights that will help you enjoy your yard at night. Coloured lights can be positioned as well to illuminate special features. If you are tired of constantly cleaning your pool, it may be time to invest in one of the automatic pool cleaners available. The trouble is, since there are several types you may not know which one is best. 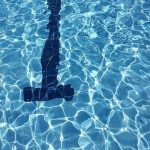 In fact, all of them do a good job for the kind of cleaning they were designed to do, so to choose the best type for your pool, you first need to look at the type of debris that gets in it. If the pool is close to trees and shrubs that drop leaves, nuts or berries and twigs into the pool, or if grass seems to be a problem in the pool, choose a cleaner that is good for cleaning larger debris. These are called pressure cleaners. Some types connect straight to the pool pump, while others have a booster pump. The cleaner moves around the pool using the water pressure and it has its own bag to hold the debris, which saves you cleaning the pool filter so much. This kind of cleaner is low maintenance and very durable, but it doesn’t scrub the walls of the pool. Shade Sails Perth offer many advantages with their shade sails for business, the main one being that they give customers a cool, shady place to relax in. That means they are still close to your business so there is more chance of getting a sale from them. However, unless you choose the right shape sail it is highly likely that it won’t provide the shade you expected, so the investment will be wasted. We see many triangular shaped sails around these days, but do they offer the kind of shade that is needed? In many cases the answer is no. This is because of the way sails are cut out. When looking up at a sail, you may think the sides were cut straight, and it is the tension that makes them look curved. This is not correct. All sails are cut with curved sides, so many triangular sails lose a good portion of material from all three sides, leaving just a spot in the middle to throw shade. You’ll get next to no shade from a triangle. Pools are great. Once you get the idea to have one, you move like greased lightning and get one installed. Then comes the maintenance. The chemicals, the water testing, the pump filter cleaning, pump maintenance, raking the leaves, and vacuuming the bottom. In the summertime, some of these are daily chores. Keeping the pool pristine clear and water pH right is an aspect of garden maintenance. Either you had turf to mow, fertilize and weed, or you replaced them with a pool. But once the family has grown up and flown the nest, and you are either too old to keep up the pool maintenance or you have other priorities, and nobody is using the pool anymore, it might be an idea to have it removed. Obviously, there are experts who will remove it for you and they will even pay you for the pool itself, if it’s fibreglass. Don’t forget the collateral damage on removal as well. A beautiful home should also smell good and clean. To maintain cleanliness in your home, you should do more than just vacuuming your carpets. If you have not cleaned your carpets and rugs for the last one year, it is time to buy a professional carpet cleaning service. A carpet is one of the dirtiest things in your house. Besides being stepped on a daily basis by humans, carpets get soiled by pet urine and fur. As a result, they could host dust mites, soil particles, fleas, fur, and stains. A soiled carpet can stink and have visible stains. If you are thinking of cleaning your own carpets and rugs, let go of this idea. Without special cleaning equipment and professional skills, you cannot restore your dirty carpeting to its original color and beauty. It would be wiser to employ the services of an expert who understands that floor mats and rugs are made of different materials and they cannot be cleaned in the same way. When a reliable and knowledgeable cleaner arrives at your home, they will first inspect your carpeting. By so doing, they will determine whether your mats are made of a natural fiber like wool or synthetic fibers. Additionally, they will do a patch test with their high-quality cleaning products. The selected patch will not be easily noticeable and the test will reveal how well the carpet fibers respond to the cleaning products. The landscaping industry has many professionals and the best depends on your projects demands. You may yearn for a beautifully looking yard but fail to actualize your dream because of hiring the wrong professional. At first, hiring a landscaper might be your thought but the person to get your project to fruition may be a landscape designer or a landscape architect. So which landscaping professional is ideal for you project? Here is a rundown on the types of landscape professionals. Landscape Architects are professionals with training in technical and creative skills to design irrigation systems, grading, paths, layouts of drivers, and other planting plans, construction details and hardscape features. The advice we got from fencing professionals Eline Fencing Perth is, if you want to enhance the visual landscape of your yard, then a wrought iron fence might be the best choice for you. It works like any other fence in a practical application sense. You get the element of privacy, it keeps your pets off the street, the kids are safe, and helps keep intruders out. There are some additional benefits a wrought iron fence gives your home and yard that other fences do not. A fence made from wrought iron adds some elegance and style to your home. There are some benefits to appreciate when you select wrought iron as a fencing option. Apart from the security aspect that a wrought iron fence gives you, it still allows passers-by to see landscaping around your home. Considering you can have any design you like made to order, it becomes a beautiful customised enclosure. A design like that provides enough security for your property and also makes your home stand out from the rest. The fact that it is see through, transparent, does not lessen the security aspect of your fence. The top rail is made with pointed posts and that makes it hard and also dangerous for intruders to climb into your property. Keeping your home or property in excellent condition is necessary to safeguard a secure and habitable living environment for your family or other inhabitants. In doing so, you help your house maintain its value and reduce the number of expensive repairs that you may need to do with your property. In this regard, the handyman is your partner in ensuring excellent property maintenance. While it may seem expensive to get a handyman to regularly service your home inside and out, it is in fact costlier in the long run to have them repaired once they have already sustained extensive damage. You should not be afraid to invest time and money for property maintenance. Letting a problem become worse just to scrimp on money will eventually end up costing you more. But why not just do everything yourself? The truth is a lot of what may seem at first glance to be simple jobs actually require professional skills, specialized tools and spare parts, and hands-on experience that handyman has been trained to do. Hiring one saves you not only money but the time figuring out what materials are needed to carry out these home repairs and buying tools that you may not need again. We all know how emotionally and physically stressful it is moving from one place to another. If you have lived in one particular street in your town or city for a few years and have got used to the surroundings and have many friends and neighbours, it’s awfully hard to leave all this behind. Don’t even mention the packing and unpacking that needs to be done. Fortunately, there are companies such as Brilliance Removalists Perth that are able to help you with that. They can lessen the stress and make it easier to get into your new home, quickly and professionally. Apart from the pack, transport and unpack services, there are other benefits gained by using professional removalists. Professional removalist companies have friendly staff that fully understand the stress you are experiencing and are ready to help in every way. They can organise and coordinate the whole process of moving making sure that nothing is left behind. They can help you pack all your belongings and are trained to handle them with care. When it comes to kitchens, whether it’s an overhaul renovation or a simple kitchen design makeover, a professional designer will assist you to create the kitchen of your dream. It might not be easy to put all the pieces together on your own and achieve commendable results. Professional kitchen designers execute redesigns and amazing remodels for a living. They have the expertise and valuable experience to select the best materials, color schemes, and finishes. Besides, they have the knowledge to incorporate everything on the wish list and deliver exceptionally. The following are reasons why hiring a professional kitchen designer is a smart decision. A kitchen designer delivers an incredibly long lasting value in terms of style, aesthetics, and function. They have the right knowledge to combine the design and the available materials properly. They use the products to create structures that will stand the test of time and retain an incredible resale value. Aluminium windows are one of the best things that happened to home design. Practically maintenance-free, aluminium windows are extremely functional and can go well with modern designs. Aluminium is also more economical than either steel or timber-framed windows. But with quality also comes more skill required to either install or replace your aluminium windows. By hiring an experienced window contractor to do your aluminium window job, you make sure that they are installed to the best standards and in accordance with the requirements of the manufacturer. Window contractors can help with installing your aluminium windows. Professionals can ensure precise on-site measurements, make sure that the manufactured window frames are the correct dimensions, fully seal and insulate them, protect them during plastering, and have them finalized with interior detailing. Getting work done with plant or equipment hire is a necessity for any construction or full property renovation job. But how do you get the best out of the excavator or other heavy equipment to ensure quick and effective work for earth moving, land clearance, trench digging, and other groundwork? Here are 4 easy steps you can do to get the best plant hire contract for top quality equipment at the most reasonable price. When you contact the excavator hire company, the first thing you need to do is to check the availability of their heavy equipment. You have to make sure that the kind of excavator needed for your work is present in their fleet and that it is ready to work within your construction schedules. As plant hire can be costly, you have to ensure that the delivery of the plant can be assured for the duration of your construction job. Don’t think twice about asking for the age of their heavy equipment. Remember that it is your loss when their excavators turn out to be older and thus have more chance of breaking down due to mechanical failures. It is best to scout around for plant hire companies that have relatively modern fleets. Machinery that is 2 years old or less should be suitable and less likely to suffer from frequent engine trouble. Putting up just any fence around your home won’t guarantee security. In fact, some fences can even be counterproductive and attract burglars rather than protect your home and property. So how do you make the best of security fencing? Make sure that yours is a fence that’s not easy to climb over. For one, it should be 8 feet high at the very least. Build your fence in such a way that it possesses spikes, spear-tips, or razor-wires especially on a fence with a flat top. Your fence must also have few horizontal rails to prevent giving burglars a leg up if they climb over your fence. Take care to avoid giving burglars any hiding place. This means shunning overly tall and solid fences as well as dense shrubs and big trees along the fences. While they may look formidable, they actually keep burglars hidden from the eyes of police and neighbours. See-through fences are better to give you a view of people on the other side. Pay attention that your fence is not easy to circumvent. Do not allow burglars to go around or under your fence with ease by making sure they go along the entire length of your property and fortifying your gates. Secure the fences on the ground with concrete footings and avoid common fencing materials, like chain-links, that are in fact easily cut through with bolt cutters. Why Choose Concrete Swimming Pools Over Fiberglass Pools? Whatever the season, taking a dip in the swimming pool is never a bad idea. But what kind? Whether it’s a fibreglass or concrete swimming pool, many say that it’s really just a matter of preference. Many pool builders, however, argue that concrete pools are better than fibreglass overall. There are several reasons for this. If you want your pool installed by pool builders in the soonest possible time, then fibreglass pools, like fast food delivery, would be your best bet. Pre-built from the factory, a fibreglass pool can be easily and quickly installed by placing its shell in an excavated hole in your lawn and connecting it to plumbing. But precisely because they are shipped intact from the manufacturer to your home, fibreglass pool shells can’t have too many customized structures, nor are they flexible enough to accommodate unique features like trees or rocks. It would be hard to install in limited space or with special landscapes in mind. You can’t do any property renovation or construction work without some kind of equipment or plant hire. From land clearance, ground-works, trench digging, to all sorts of earth moving and leveling, excavators are some of the most effective and versatile piece of equipment that you can hire for your projects. It is therefore imperative for you to get advice from an experienced and skilled equipment hire professional to get your construction work done with minimum trouble in less time. There are different types of excavators for different types of jobs. It is important that you get some background and examine your options for the construction job in hand. Whether you need excavators with long reach arms, compact or mini diggers, zero swing diggers, or skid or wheels steered equipment, there are a wide range of plant hire equipment you can choose from. They also come equipped with buckets, compaction plates, augers, rippers, and other attachments that your job may require. Other things equipment can do include building demolition, loading trucks and dumpers, lifting materials, tree grubbing, compacting or laying material, and transporting other heavy equipment. Colorbond roofing has pretty much changed the way things are done in the roofing industry. From budget materials used mainly for sheds, metallic roofing has been turned by the advent of Colorbond into a stylish yet highly durable and inexpensive option for your home. It comes in many variety of shapes for different types of homes and designs. It has roof insulation and heat-reflection features that keep your home cooler and diminish noise. However, these benefits come with a more complex installation process. Not your typical DIY thing, skills are needed to ensure that your Colorbond roofing is installed in the correct manner. You would need to choose an experienced contractor for your Colorbond roofing needs and to ensure it doesn’t pose any threat especially during extreme weather conditions. So how do you know you’ve got the right Colorbond roofing contractor? While scaffolding is a vital component at any worksite, it is true that a significant number of accidents is due to the lack of scaffolding safety training and the defective scaffold equipment. Avoiding inexperienced workers slipping or tripping while in the scaffold or the plank failing should be reason enough for you to hire a professional scaffolding company for your needs. By hiring a professional company, you ensure safety and avoid accidents, injuries and deaths on your worksite. Rather than just hiring painters or general contractors and be in danger of violating state regulations, getting a professional ensures that you are compliant with scaffolding safety standards of the correct capacity, use of guard rails, right spacing between planks, and preventing use of proscribed items. You can be assured that companies specializing in scaffolding have workers that are trained experts when it comes to scaffold-related work. While general contractors and ordinary painters may have some experience working with scaffolds, they may not be thoroughly competent or qualified for scaffolding work and this leaves you liable if they end up injuring or hurting themselves while working for you.